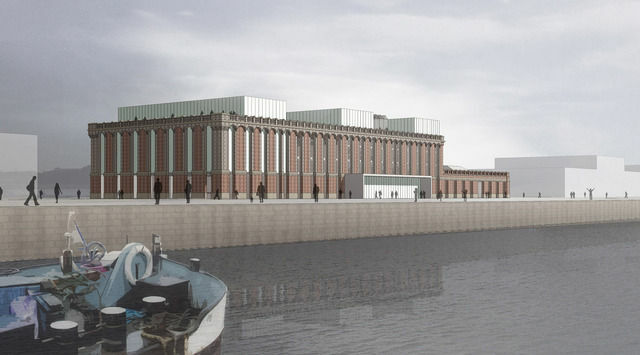 The project for the rehabilitation and extension of the historic Halle aux Sucres building located on the docks of the city of Dunkerque in northern France. The brick facade of the depot building, badly damaged from repeated allied bombings during WW2, was to be stripped of all except its stone and masonry skin, and its structural contents gutted to allow for the insertion of the new Centre for Memory, a rich and complex system of interlocking voids and programmatic volumes (library, documentation centre, schools, municipal offices, training centre). Sustainability guidelines were respected.